Born and brought up in an Armenian Lebanese family, Chef Zarmig Halladjian considers herself to be an ambassador of her native cuisines and the art of hospitality that is inherent within her people. With 24 cookbooks and various TV shows to her credit, she is quite the celebrity chef! 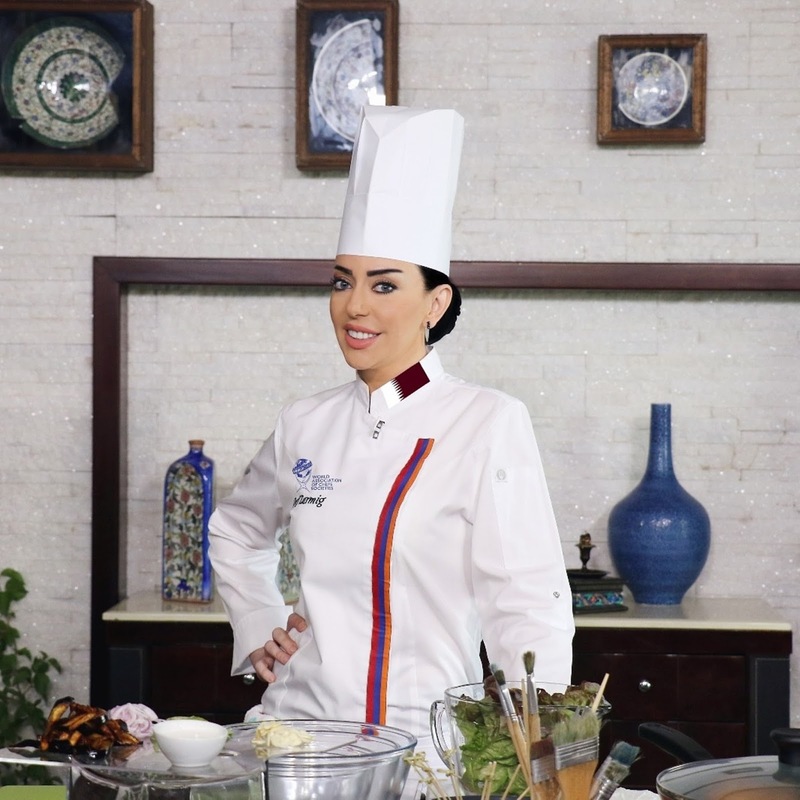 She runs an 800-seater restaurant in Doha, Mamig, which serves Armenian and Lebanese cuisine. She employs a staff of 164 and caters to more than 2000 guests daily and has won several awards as well. Her first visit to India was two months ago during the IFCA's 7th International Conference 2017 at Hotel Pullman, New Delhi. After taking an immediate liking to the country (whatever little she saw of it then) and to its people she is now back to share her cuisine over a nine-day extravaganza at Food Exchange, the signature restaurant at Novotel Aerocity. Lebanese food has been very popular in India with its array of kebabs, assortment of dips, refreshing salads and flatbreads. One finds many restaurants across Delhi serving mezze platters that are ideal for sharing with a bunch of friends, peers or family. The cuisine gives equal importance to vegetables and flavourful meats and uses plenty of dried fruits and nuts as well. “The gorgeous weather and quality of our soil is highly conducive to growing wonderful vegetables,” shares Chef Zarmig who is carrying a variety of delicious greens and aromatic herbs to lend an authenticity to the food that she plans to serve here. Our table is laden with cold appetisers such as hummus, moutabel, mouhammara, fattoush and tabbouleh. 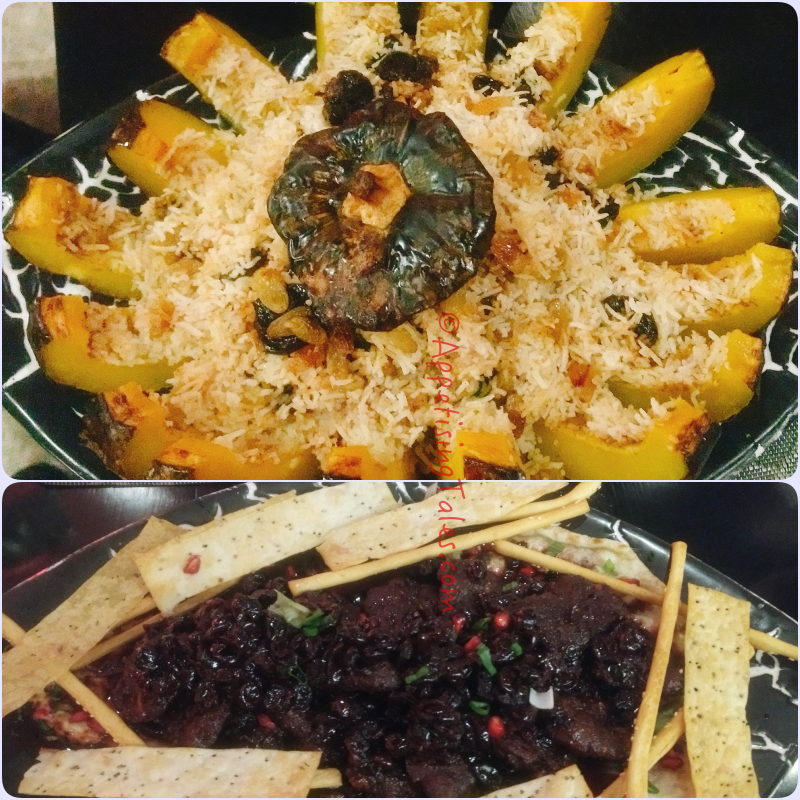 A range of hot appetisers and succulent BBQ follows. While vegetarian options include cheesy rekakat (spring rolls), and boereg filled with three types of cheese, non-vegetarians are treated to lamb kebbe made with bulgur, minced onions, and finely ground lamb and sambousek that is vaguely similar to our samosa, filled with juicy minced lamb. BBQ includes skewered chicken and lamb marinated in tomato paste, chilli paste, lemon juice, olive oil and yoghurt. Spices are kept minimal so that the flavour of the meats shines through. 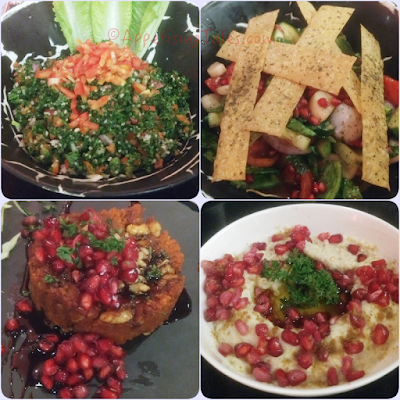 The mezze includes eech, an Armenian salad made with bulgur wheat. But it is the mains that truly stand out for me. Ghapama is a celebratory dish that comprises rice cooked with honey and dried fruits and baked inside a pumpkin. It is cut open with a lot of fanfare and fruits such as apricots, plums, raisins and toasted pine nuts and almonds compliment the rice and fleshy pumpkin slices. Although it is sweet (also cooked without any salt) it is part of the main course. Fishne kebab is essentially lamb patties topped with fishne or wild cherries that are found at the border of Armenia. The cherries are tart and sweetened with sugar lending a delicious sweet and sour richness to the meat. Another specialty is the Ishkana fish that has specially been flown in from Armenia. This variety of fish is found only in Lake Sevan, the largest body of water in Armenia, and one of the largest freshwater high-altitude lakes in Eurasia. It is typically eaten simply boiled, but Chef Zarmig serves it with a tahini-based sauce to make it suitable to an international palate. 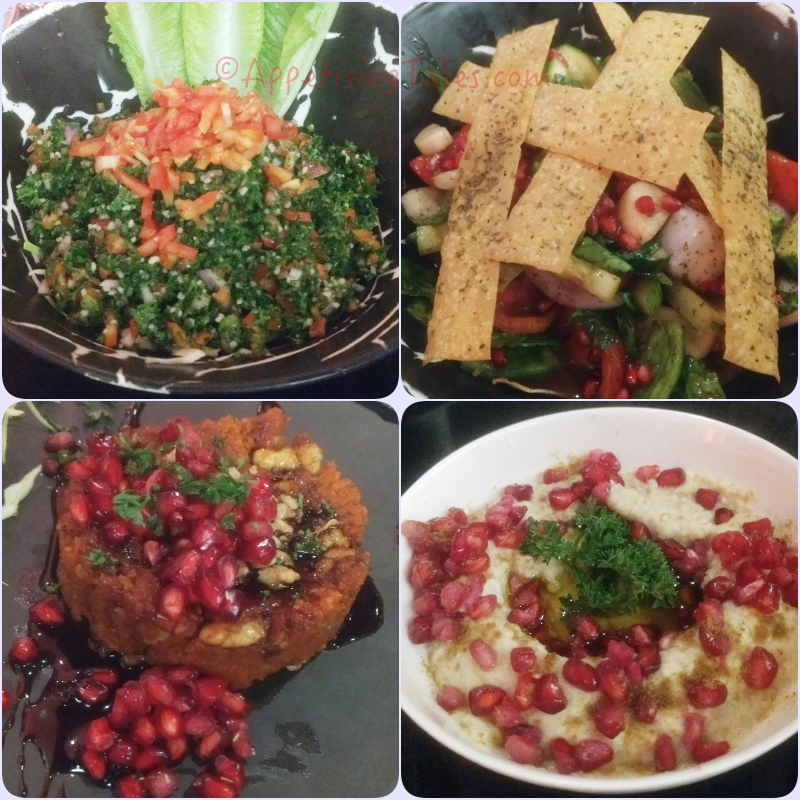 Finally, as pomegranate is the symbol of Armenia one finds it sprinkled liberally on various dishes. The menu will vary over the nine days so you may get to sample many other delicious dishes as well. Besides her culinary talents, Chef Zarmig is also an artist and you will find a collection of her paintings displayed at Food Exchange during this promotion which promises to a feast for the eyes as well as the palate.